Love is in the air, especially since everybody and their dog got engaged over Christmas or the New Year. To you, I say both congratulations and start pinching those pennies. It’s time to plan a trip, and not just any trip. I’ve been asked countless times where to go for honeymoon destinations around South America, and truth be told, I love this question. I don’t like to brag, but I’m pretty good at answering it because I’ve been around the block a few times. Scratch that. I’ve been around the continent a time or two and have done the travel agent work for you. It’s a tough job, but somebody’s gotta do it. So where oh where to book your two tickets to paradise? Please, allow me. Why we love it: Starting at the top, you don’t have to venture incredibly far to find sun and sand. Placed conveniently on the shores of the Caribbean, Colombia isn’t what it used to be, and that’s a good thing (to those of you living under a rock). As drug cartels are on their way out, tourists are on their way in. According to Forbes, Colombia is one of the world’s 10 Coolest Places to Visit in 2015, and The Road Les Traveled has to agree. Sure, it’s definitely ‘cool,’ but it’s also uber romantic. Stroll the cobblestone streets of Cartagena, escape to a secluded island near Santa Marta, experience the exotic rain forest or the buzzing metropolis of Bogotá. Wherever you go, beautiful people will surround you (making you inevitably crave salads and juices the entire vacay). Thank God for that wedding diet! Why we love it: The country’s saying is “All you need is Ecuador.” With the coastline, Amazon Rainforest, Andes Mountains and the Galapagos Islands, how could one argue? Ecuador offers just as much adventure, nightlife, and culture as it does beaches and relaxation. If the bride wants to bask in the sun on a beach somewhere and the groom wants some adventure in his life, fear not. Compromise is what marriage is all about. The Galapagos Islands offer the perfect marriage of beach and activities…and who doesn’t love exotic animals? Riddle me that. The country is easily traversed as the it’s roughly the size of the state of Colorado, making day trips convenient so that you can get back to whatever you were doing in that suite of yours. Why we love it: Machu Picchu, anyone? If you haven’t laid eyes on one of the new 7 World Wonders, this is a sight that’ll bring you and your spouse closer than ever before. It’s captivating, awe-inspiring and a great work out if you decide to hike one of the mountains or the Inca Trail (although the popular 4 day Inca hike doesn’t exactly scream romance. Stick to the 1 day sight-seeing if you aren’t avid hikers.) Apart from this obvious Peruvian attraction, a stop in Cuzco for a few days at Inkaterra La Casona is a must as it’s up there on Most Romantic Hotels I’ve ever stayed in. Last but not least, I can’t forget about the South American food capital of Lima. The thriving culinary scene is widely diverse much like the country’s geography converging ocean, desert, mountain, and jungle ecosystems. Am I selling it yet? Why we love it: Where to even begin? With Chile’s stable economy, world renowned wines and the incorporation of every landscape on my wish list, it’s damn close to stealing the #1 spot in my heart currently taken by Argentina. This is for the couple who loves the great outdoors. Period. From north to south, you can encounter the driest place on earth known as the Atacama Desert to the mysterious land of Easter Island, from bustling Santiago to cute beach towns of Valparaiso and Viña del Mar. The southernmost tip of the world and my favorite place on earth is Chilean Patagonia, a vast landscape that’ll have you coming back for seconds before the year is over. Mark my words and guard your heart – Chile will try to steal it! Why we love it: I’ve been living in the beautiful country of Argentina since September of 2013 with the love of my life, so I’m a wee bit partial to this place. Love can be found everywhere in this country from the sprawling parks (and copious amounts of PDA!) in Buenos Aires to the wine country of Mendoza surrounded by snowcapped Andes Mountains. 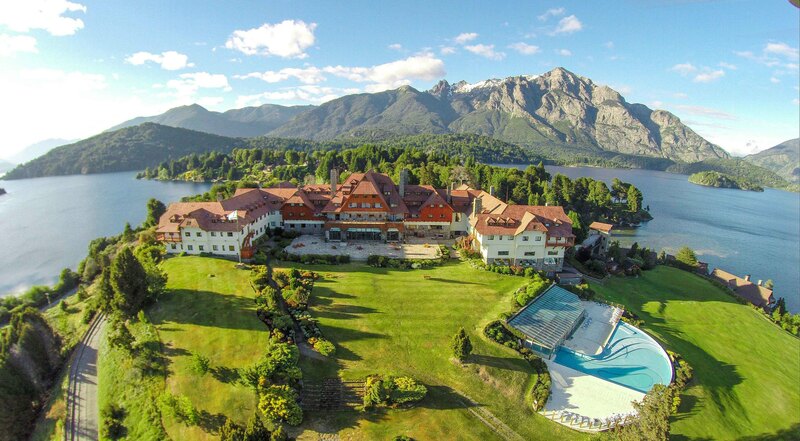 Further south, Bariloche offers fjord views from kayaks and other adventurous activities, while El Calafate in Patagonia offers glacier hikes, rock climbing and spa treatments for the well-rounded couple. Don’t forget the quality beef and Malbec once you’re here – your romantic dinner for 2 will be half the price of anywhere in the States thanks to the Argentine peso. Why we love it: This small country is bordered by Argentina and Brazil, making it a must-see for that extra passport stamp if you’re in the area. Let it act as a romantic retreat across the waters of the Rio de la Plata, as it’s only an hour ferry ride from Buenos Aires via Buquebus. May I suggest Four Seasons Carmelo as a starting point, the perfect honeymoon Uruguayan escape incorporating colonial charm, authentic stillness and countryside beauty. Once you’re done with the Argentine Malbec, try the popular Tannat grape native to the country. Also worth checking out: Punta del Este and Montevideo. 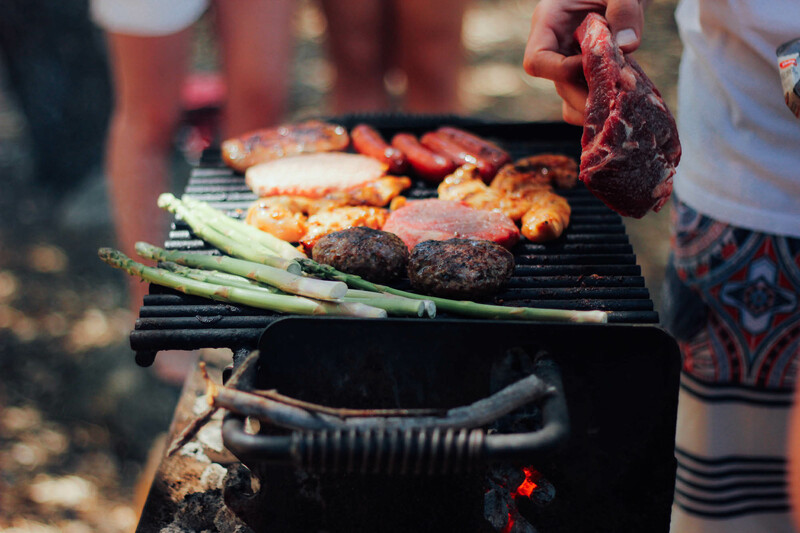 Why we love it: There’s so much more to this country than just beaches, soccer and samba…although these three activities make the country alone a triple threat. The official language is Portuguese, and even though many (ignorant) people think it’s Spanish, the locals will treat you with kindness and respect any day of the week. Brazilians give Colombians a run for their beauty queen and king titles, and with work out stations every few feet in Rio de Janeiro plus exotic fruit smoothies on every corner, it’s no wonder they wear next to nothing around town. Just being in their presence makes you fall in love all over again with your spouse, with nature, with travel, what have you. Don’t let the southern beaches keep you around though. Venture north to the Amazon and total privacy. Take a 9 hour overnight flight to the sultry city of Buenos Aires. Fly into El Calafate, the gateway to Argentine Patagonia. Hike the Perito Moreno glacier and pay a visit to Fitz Roy in El Chalten. Fly from Ushuaia to the famous Iguazu Falls (stop over in Buenos Aires) – a must-see attraction. Take the 10 1/2 overnight flight to Chile’s capital city. Arrive to Punta Arenas, the gateway to Chilean Patagonia and in close proximity to Torres del Paine National Park. Change landscapes and go from mountains to deserts in the driest place on earth, the Atacama Desert. Fly 13 hours with a stop over in Lima, Peru. Guzzle your favorite Chilean blends while discovering the country’s famous wine regions by car. 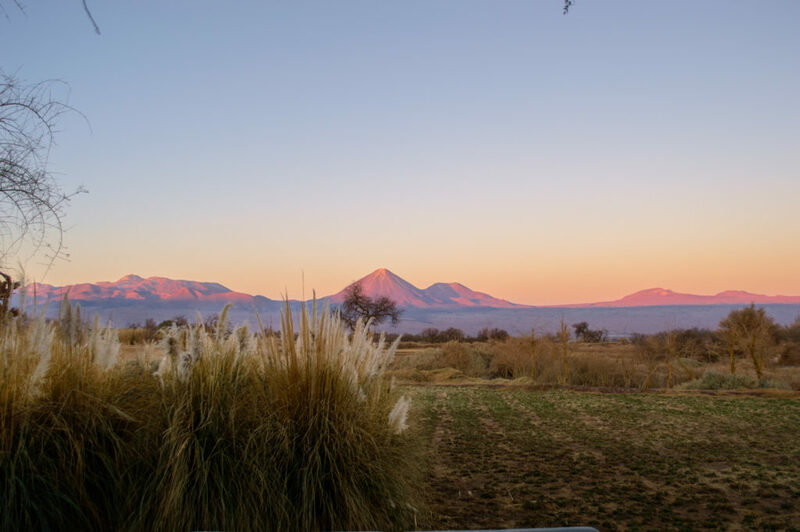 Discover the Argentina Malbecs of Mendoza and treat your taste buds to some wine tasting while soaking up the view of the Andes. Hop from one wine hot spot to the next, sipping and savoring every drop along the way. Try the Torrontes white grape variety from the one and only Salta region. Hop on a ferry ride across the Rio de la Plata from Buenos Aires to Montevideo to treat yourself with the Uruguayan Tannat, a rigorous with moderate-to-high alcohol content and grit. Gotta love that. Since you’ve basically spent the past 12 days drunk, it’s time to sober up and get back to the real world again. Good luck! Fly 7 hours to the Peruvian food capital of Lima. Treat your taste-bud to tasty ceviche and lomo saltado, a stif-fry esque dish (not for the carbophobic). Take a flight to Cusco to then board a train to Machu Picchu. It’s a long travel day, but well worth it. Spend a day with a guide exploring Machu Picchu. Tip: Hike Huayna Picchu Mountain in the same day for a good workout! Book a reservation at Inkaterra La Casona. For those adventurers ticking Machu Picchu off their bucket list: Treat yourself. You’ll want it after the lactic acid hike among the ruins. Located in the heart of the main square, the hotel couldn’t be in a more ideal spot for city exploration. Start heading north to the Caribbean where you can rest and relax in the Old Town of the city center or the islands of Cartagena. I’m currently planning my honeymoon to South America for next winter. Just wanted to tell you how helpful your blog is! I hope we return with as many gorgeous pictures as you have. where is the photo taken under "brazil" section? it’s amazing!